The Lamiaceae (Labiatae) family are commonly known as the mint or thyme family. Occasionally also commonly known as the dead-nettle family. The scientific family name, Labiatae, has now been superseded by Lamiaceae. However, you may find Labiatae in older books and reference sources. 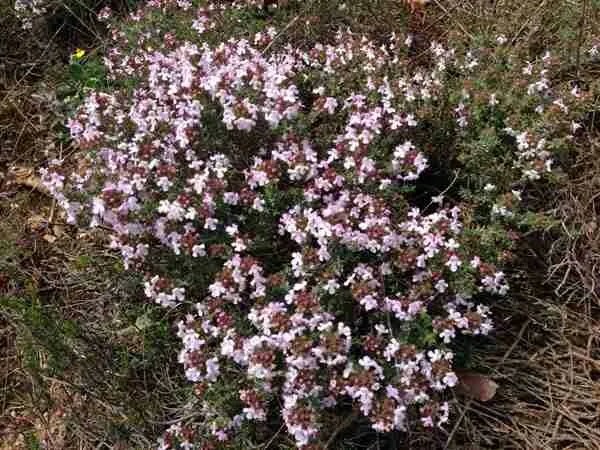 It is a large family of mostly herbs or small shrubs. They are frequently aromatic due to a rich supply of volatile oils. In fact many are steam distilled for essential oils: lavender, mint, thyme, sage, rosemary. Most of the family have square (four-angled) stems. Leaves are attached to the flat edges and are opposite pairs at a right angle to the pair above and below. The leaves are simple, without stipules and often hairy. The flowers are irregular and found in whorls at each node. The corolla is five united petals of which two are usually lipped giving the family the ‘labiate’ name. Usually two pairs of stamens attached to the base of the petals (Lawrence). White Dead Nettle without the sting! White dead nettle is a member of the thyme or mint family. However, as the common name suggests clumps of the herb resembles the stinging nettle. When you look more closely you see the typical labiate flowers (Barker) and there is no sting! 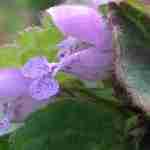 White refers to the colour of the flowers in contrast to her cousin the red dead nettle. The scientific name Lamium is from Greek ‘laimos’ meaning gullet or throat and believed to have been given as the flowers are thought to resemble half-open jaws (Mességué). You will find the white dead nettle growing on waste ground near farmlands and by hedges generally between May and October although it can be found as early as April and as late as December (Barker). McLeod adds it will grow on poor soil. Although considered a European herb Barker describes it scarce, and sometimes absent, from northern Europe including Scandinavian countries, Scotland, Ireland, Wales and North England. Flowering tops of the herb are utilised medicinally and harvested between April and July. I have it growing in two areas of my medicinal herb garden. When I lived in Devon it grew wild along the estuary. I think it is a most beautiful flower but sadly underestimated as a wild flower. Personally I believe her to prefer a slightly more moist and cooler climate than the south of France. Although white dead nettle grows well here she flowered much more on the estuary in Devon than she ever has in my garden. The flowers passed over before June was over. However, June was unusually high temperatures. Some organic gardeners use it in companion planting with potatoes. Apparently it improves growth and flavour of potatoes as well as deterring bugs. However, McLeod suggests caution with this companion as she considers it could easily become invasive. I have not found it invasive neither on the estuary in Devon nor in my garden. However, some Lamiaceae are invasive, consider mint. Leaves were used for their astringency to staunch wounds in historical times while the flowering tops were used to make a tea for female disorders and also to stimulate the liver (McLeod). Culpeper knew the herb as ‘white archangel’ although he also discusses a red and a yellow archangel interchangeably. He described it as making the head merry and, as mentioned by McLeod, he too used it to staunch bleeding but he highlights bleeding from the nose and mouth and recommends treatment by application to the nape of the neck. Culpeper also utilised for old ulcers, bruises, burns and to draw out splinters. Finally, he used it to ease joint pains and in particular mentions gout although he also used it for sciatica. Interestingly, he seemed to use what he called the red archangel for women with heavy menstruation although he noted the chief use of all archangels to be for women. Mességué also discusses different types of dead nettles and indeed mentions five varieties. It can be difficult to differentiate which species he indicates but lists retention of urine, respiratory tract irritation, painful and/or irregular or heavy periods and vaginal discharge and anaemia. He, like Culpeper, used it to treat wounds as well as for ulcers, burns and gout. Other indications included for varicose veins and ear complaints. Menzies-Trull in the modern-day, indicates it for painful and/or heavy periods, PMS, vaginal discharge as well as gout, sciatica, anaemia and varicose veins. He finds it beneficial for catarrh which can be respiratory, vaginal or urinary. He combines with honey as a wound herb. It seems most of our current day uses have been around for many, many years. I note both Culpeper (traditionally) and Menzies-Trull indicate for gout. I have to say it is not a herb that I have ever considered. Aware I am going off track, the stinging nettle I have used with much success for patients with gout. Barker describes it as astringent and haemostatic and particularly indicated as a tonic for uterine circulation. He also notes it to be anti-catarrhal and expectorant, mildly sedative, anti-inflammatory and demulcent. Barker indicates for painful and heavy periods and vaginal discharge particularly leucorrhoea. Other indications include mild insomnia, benign prostatic hypertrophy, upper respiratory catarrh and bladder disorders. An article in Medical Herbalism (1993) lists Lamium album as being high in tannins and flavone glycosides. The article suggests these constituents increase the pelvic circulation with the tannins toning and strengthening endometrial lining. The article believes these actions provide an effective pelvic decongestant which helps regulate menstruation. Barker also includes tannins as well as the flavone glycoside isoquercitrin. In addition, he notes it has some mucilage, some saponin, amines, volatile oil and some potassium salts which he considers may have a diuretic action. There seems little research into the medicinal use of Lamium album. A Polish study looked at the constituents and found two phenylpropanoid glycosides, lamalboside and acteoside as well as rutoside and quercetin (BUDZIANOWSKI, J., et al, 1995. Phenylpropanoid esters from Lamium album flowers, Phytochemistry; 1995 Mar;38(4):997-1001 ). The study did not look at the action of these constituents. Mességué recommended a handful of herb infused in 1¾ pints of water and taken at a dose of 2 to 4 cupfuls a day. The same dosage for hand or foot baths though these he recommended twice a day. For wounds he recommended powdering dried flowers and mixing a pinch of this with honey for application directly on external wounds. Of course he lumps all dead nettles together in his book. Barker suggests tincture as a simple recommending a dose of 2-5mls three times a day of 1:5 in 25% alcohol. If making an infusion he recommends 10-20g of herb to 500ml of water. Take 3 times a day though double the herb content if making a compress for external application. Culpeper described it as a herb of Venus and therefore proposed it was specific for women. As a student herbalist, when I first tried as a tea, I found the herb to have a protective personality. Indeed one class colleague actually described it as motherly. It is interesting Culpeper associated white dead nettle a female herb. The tea had a mineral taste and came across as being nourishing. Definitely a warm herb. Herbs hot in the second degree Culpeper chose to break up tough humours. This description works well with the Medical Herbalism describing the tannins of white dead nettle as having a pelvic decongestant action. I have a printed article titled Energetic Prescribing. For the life of me I cannot remember from where it came. Unfortunately, I have no idea of the author. The article describes Lamium album as one of the stronger tonics. Described as slightly more warming, stimulating and capable of rectifying hypofunction of organs and tissues. I particularly like this statement talking of medicines hot in the second degree. I like Culpeper’s description of “making the head merry”. Whenever I see this plant in flower she does make me merry. A herb I have utilised fairly infrequently in practice. However, although quite specific in mission, I should not like to be without. 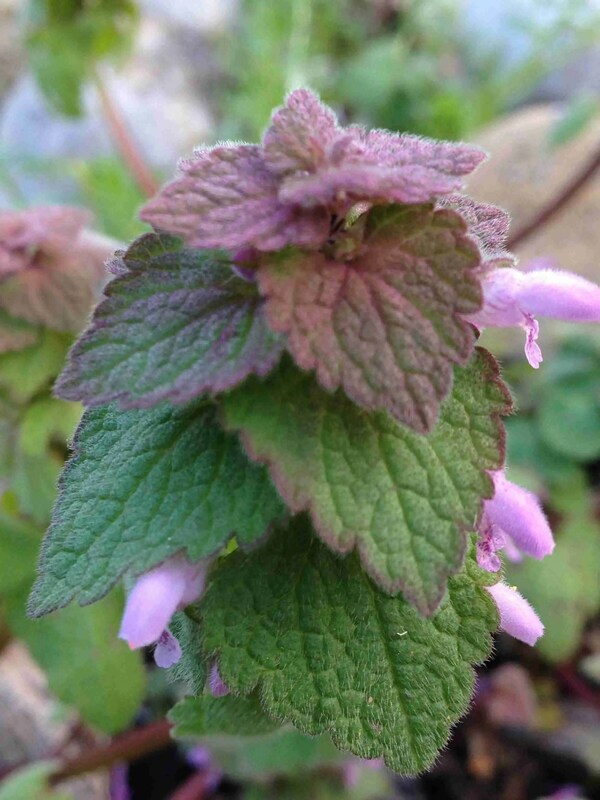 Author NicolePosted on 7th September 2017 6th October 2017 Categories Lamiaceae (Labiatae)Tags astrology, Female Health, herbal energetics, Wild FlowersLeave a comment on White Dead Nettle without the sting! Self-Heal or All-Heal, a little plant with appropriate name! 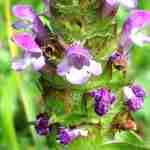 You will find self-heal flowering virtually continuously from June through to October. The tight cluster of crowded purplish sepals and bracts have been described as resembling a fir cone. It has the typical square stem associated with the Lamiaceae family (Fletcher). Barker describes self-heal as a short, creeping perennial which is no more than 30 cm in height. He describes the flowers as blue-violet. Found throughout Europe in grassy places or bare waste ground. This plant seems to have had a wide range of names. Today, more commonly known as self-heal or, occasionally, all-heal or heal-all. However, Culpeper noted it was also known as Prunel, carpenter’s herb, hook-heal and sickle-wort. Culpeper also added it could sometimes be found in flower as early as April and that it can be found in woods and fields everywhere. If you wish to see Prunella vulgaris growing I am sure you should easily find it somewhere in your garden or certainly very nearby! The photographs in this post were taken in or around my own garden here in the Aude. Well it is no surprise one of the common names is all-heal as this little plant certainly seemed to be used to heal many ailments! Hoffmann tells us it has a long tradition as a wound healing herb. Culpeper described it as a special herb for wounds advising to take as a syrup internally, for internal wounds and externally as an unguent or plaster, for external wounds. Other recommendations included ulcers, wounds, bruises and to cleanse the “foulness of sores” whereby they would be speedily healed. For headaches he suggested a juice of Prunella with rose oil anointed on the temples and forehead. He added this same combination with rose, albeit rose honey rather than oil, cleanses and heals ulcers in the mouth, throat and secret parts! “The decoction of Prunell made with wine and water, doth joint together and make whole and sound all wounds both inward and outward, even as Bugle doth. Mills adds it was a traditional internal remedy for eye problems such as conjunctivitis and blepharitis, eye tiredness and strain, inflammation and redness. The following is from A Curious Herbal. A book illustrated by Elizabeth Blackwell and published in 1737. Barker notes not much used nowadays. Indeed it was not included in the curriculum for my own herbal training. Barker advises the tannin content provides haemostatic and anti-diarrhoeal actions. He adds it is a useful mouthwash or gargle for infections of the mouth or throat. However, Hoffmann states self-heal is a great spring tonic and useful in convalescence. Fresh leaf aids cleaning of cuts and wounds. A poultice or compress can be made too. Hoffmann adds, as a gentle astringent, it is useful internally for diarrhoea or haemorrhoids. If piles are bleeding he suggests applying externally as a lotion or ointment. Finally he recommends use as a gargle, sweetened with a little honey, for sore throats. Menzies-Trull lists a number of actions including anti-bacterial, anti-fungal (in particular he includes candida), anti-viral, anti-oxidant, hypotensive, haemostatic and more… He indicates use for ophthalmic inflammation such as blepharitis and conjunctivitis. He also includes sore throats and pharyngitis, hypertension and headaches, glandular fever and mumps. Mills describes Prunella as having relaxing and restorative properties. He considers it a remedy for the head to relieve tension and inflammation. This, he indicates, makes it useful for headaches and vertigo and also notes modern research into the hypotensive (lowering blood pressure) effects. In addition, he highlights an affinity with the lymphatic system. In particular indicating Prunella for lymphadenopathies, swellings, glandular fever, mumps and mastitis. … and a little bit of science…. Hoffmann notes constituents include volatile oil, bitter principles and tannins. Bai et al reviewed the plant chemistry and pharmacological actions of Prunella vulgaris. The plant contains triterpenoids and saponins, phenolic acids, sterols and glycosides, flavonoids, organic acids and volatile oil. Modern pharmacological studies have found anti-viral, anti-bacterial, anti-inflammatory, immunoregulatory, anti-oxidative, anti-tumor, anti-hypertensive and hypoglycaemic actions. These actions are mainly due to the presence of the triterpenoids, phenolic acids, flavonoids and polysaccharides. This little plant really does seem to be living up to that all-heal name! A herb of Venus (Culpeper). Mills describes the temperament as cool. Holmes also describes it as cool. In fact he highlights it as a ‘refrigerant’ for clearing heat and for hot conditions in general. 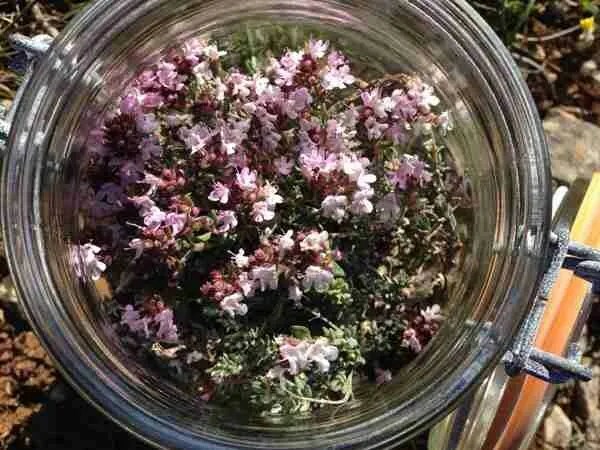 On a dry morning* gather enough fresh Prunella blossoms and leaves to fill a jar and cover with oil. You can choose olive oil or sunflower oil, as you prefer. Cover the jar. Check each day or two that all plant material is submerged. At some stage, usually around two to three weeks, the colour will have drawn from the plant material. Strain, bottle and label. Apply self-heal oil externally to cuts, scrapes, bruises, sores and swellings. You could add a couple of drops of essential oil of lavender, or even the more expensive rose, if you wished. Not only would this add to the medicinal properties it would also smell gorgeous. *Note: water content can turn the oil rancid so be sure to collect when the weather is fair. A simple remedy, ideal for a home first aid kit. 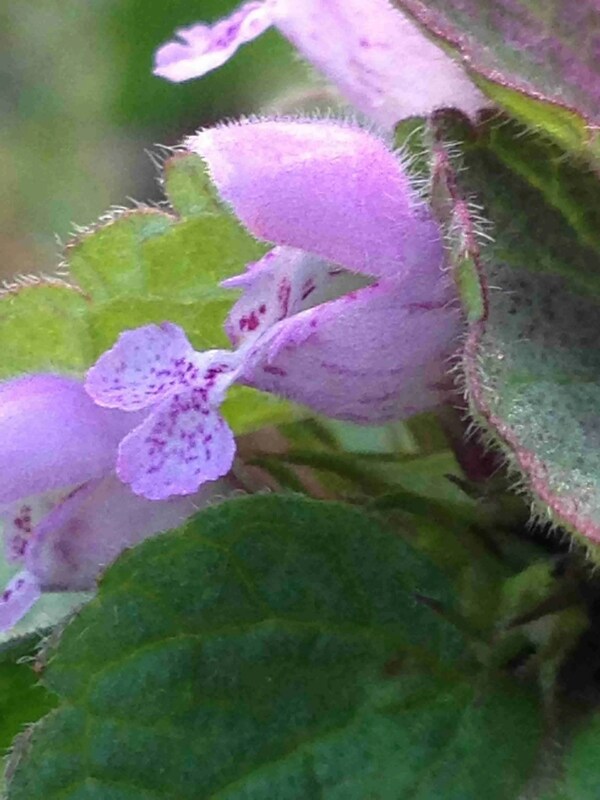 Author NicolePosted on 16th June 2016 27th October 2017 Categories Lamiaceae (Labiatae)Tags astrology, Dermatology Skin, Digestion, herbal energetics, Recipes, Wild FlowersLeave a comment on Self-Heal or All-Heal, a little plant with appropriate name!